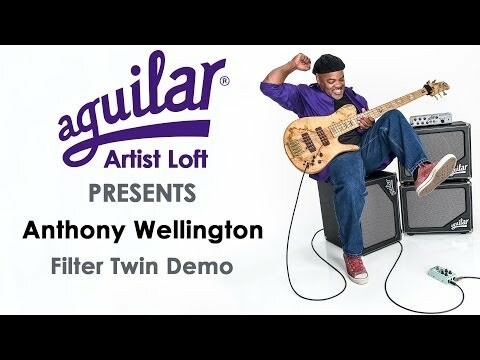 The Aguilar Filter Twin® offers unique filter effects via an intuitive four-knob layout. The blend control allows you to adjust the mix bet.. The Aguilar Filter Twin® offers unique filter effects via an intuitive four-knob layout. The blend control allows you to adjust the mix between the filters. The threshold control determines how sensitive the unit is to different playing styles. The velocity controls determine the speed of each filter. Compact, yet packed with tone - get the “Aguilar glow” on your pedalboard!